This year’s Electronic Entertainment Expo — aka E3 — saw the reveal of several hotly anticipated games, as well as new trailers and gameplay footage for titles that had previously been announced. From the dragon-centric Scalebound to dystopic thriller We Happy Few, Microsoft’s press conference was loaded with new IPs and returning favorites that Xbox One owners — and Windows 10 users, thanks to Microsoft’s new Xbox Play Anywhere initiative — will undoubtedly be excited to get their hands on. The games were just a side dish for Microsoft, though. Xbox head Phil Spencer bookended the 90-minute conference with the announcement of two new consoles, including a new Xbox One model that will be capable of streaming 4K content upon its debut. Then, after an hour of game-focused programming, Spencer returned to the stage to announce the next iteration of Xbox, codenamed Project Scorpio. Here’s everything we know thus far. With Project Scorpio, Microsoft aims to set a new standard for console performance. The system, billed by the Xbox team as “the console [that] developers wanted us to build,” promises to deliver four times the graphical power of the current Xbox One. This power — which should allow the console to run games at higher resolutions with better framerates — is measured in teraflops, of which Scorpio supposedly boasts six. A teraflop is essentially a measure of graphical potential, which is largely dependent upon the console’s GPU. The Scorpio, confirmed to use an as-of-yet unreleased AMD GPU, should feature four times as many shaders per compute unit than its predecessor, which, in turn, should render the console capable of running games in 4K resolution at 60 frames per second. If this all sounds rather abstruse, that’s because it is. Despite Project Scorpio’s appearance in the coveted final slot of Microsoft’s press conference at E3, few details or specifications have been officially announced. The six-teraflop figure was thrown around quite a bit by Phil Spencer & Co., but it’s still unclear how the console will reach that level of computing power. Team Xbox was fairly transparent about the fact that gamers without a 4K television shouldn’t spend their money on the ultra-powerful Scorpio, but how many gamers do own a 4K TV? Spencer also made it clear that Scorpio is intended to exist alongside Xbox One and Xbox One S — and that all games will be available for each console — but it appears developers might be forced to choose which platform their game is optimized for. Do they design a graphically superior title for Scorpio and hope that enough gamers are willing to pony up the cash, or do they settle for a game made to perform well on Xbox One that simply upscales when played on the Scorpio? While traditional developers might have some questions about Microsoft’s plan for the Scorpio, there’s another field of gaming set to experience a huge boost when the console comes out: VR. “[Project Scorpio]… is very attractive to some of the VR companies out there, and we’ve architected it such that something will be able to plug right in and work,” Spencer said. 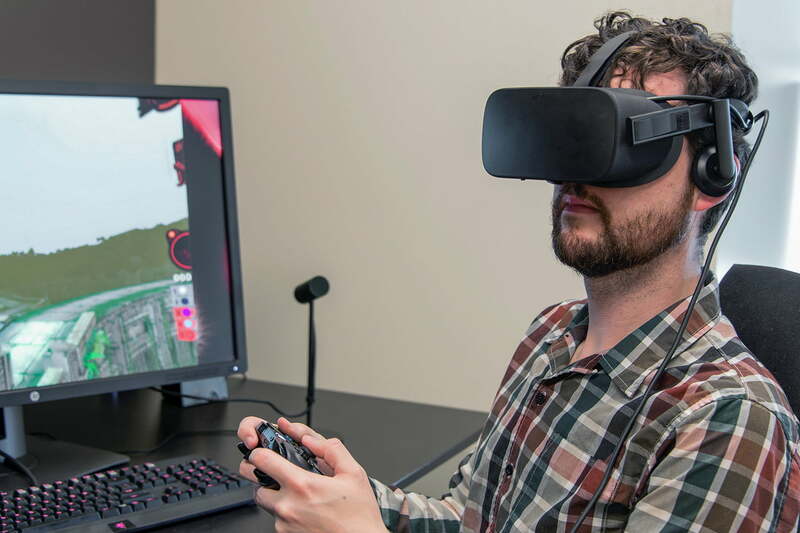 Microsoft hasn’t released any information regarding potential partnerships in virtual reality, but Oculus Rift seems like a potentially good fit, given that the Rift works natively with Windows 10 and already ships with an Xbox One controller. Though Microsoft was predictably quiet regarding the price of the Scorpio, cryptic statements from Spencer like “We’re not ready to announce something right now… but think about consoles and where they live in terms of price point” provide some bread crumbs to follow, at the very least. The Xbox One debuted at $500 and, based solely on Spencer’s statement, it appears as though the Scorpio may be in the same ballpark when it hits shelves during holiday 2017.